Sometimes we come back from a holiday with the feeling that we could really, really use another holiday! Flying long distances, trying to pack as many sights as we can into too little time, ticking all those 'must-see' destinations off our list. The whole thing can be pretty exhausting, and by the time we are back home it can feel like we barely scratched the surface of the place we have just returned from. Slow Travel is a movement which has been picking up more and more followers over the past few years. It is a way of consciously slowing down and taking in our surroundings, and learning to truly appreciate the place we are visiting. If you have never heard of slow travel before, or feel like your last holiday ended up tiring you out more than your regular job, then read on to discover whether slow travel is for you. Slow Travel came out of the umbrella 'Slow Movement', which itself began in 1986 in Rome, Italy. Carlo Petrini protested against the opening of a McDonald's near the Spanish Steps in Rome, and this led to the formation of the Slow Food movement which promotes local cuisine and traditional cooking. Likewise, Slow Travel puts the emphasis on taking the time to immerse yourself in local culture rather than rushing from one over-crowded tourist hot-spot to the next. The idea for Slow Travel can be traced back to the 2004 book 'In Praise of Slow' by Carl Honore, which is considered to be the unofficial bible of the Slow Movement. Honore rails against the damage to the environment caused by air travel and mass tourism, and emphasises the joys of savouring the journey and the small details that make every place exciting and unique. In recent years the concept of Slow Travel has gone from strength to strength, as more and more people are seeking to travel in an eco-friendly way that allows for a better understanding of the destination. If you are wondering exactly what Slow Travel means, then our 12-step guide should give you some pointers. 1. Travel on foot or by bicycle whenever possible. 3. Open your mind to new experiences. 4. Stay in a local house/apartment and not a hotel. 5. Don't Rush! Take your time to explore a destination thoroughly. 6. Immersively experience a place, don't just Instagram it. 7. Learn some of the local language. 8. Sit in a cafe to watch the world go by. 9. Embrace the unexpected, not everything needs to be planned. 10. Do as the locals do. 11. Stay away from tourist hot-spots or landmarks. 12. Try to give back to the communities you visit. One of the biggest threats to the environment these days comes from air travel. At any given moment there are between 6,000 and 10,000 planes in the air - the numbers increase to around 10,000 when the United States 'wakes up' every day. There are around 4 billion air passengers taking journeys every year, but it is estimated that only 2 to 3% of the global population flies per annum. What this means is that if just a small percentage of the global population reduced the number of flights they take, the planet as a whole would benefit. Just one flight from the UK to Mexico causes the same emissions as would be created by 80 Tanzanians in a whole year. Clearly, cutting down on air travel is one way to help the fight against climate change. 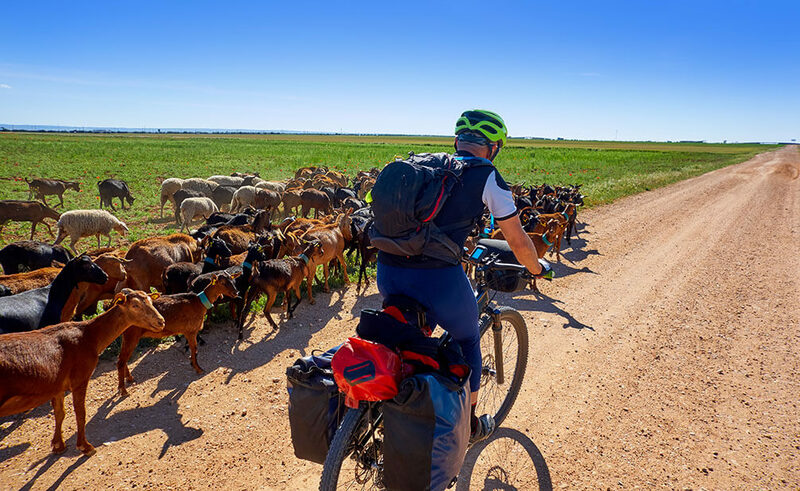 Slow travel is all about taking things at a leisurely pace, and we have selected some of the most famous international slow travel routes which use more eco-friendly forms of transport. Of course, to do your part to reduce global warming it would be best to find a slow travel route closer to home which won't require you to take a flight to enjoy. One of the most famous cycle routes in the world is the one that follows the Friendship Highway from Nepal through to the Kathmandu Valley. This is a physically demanding route and not one to be undertaken by novice cyclists, but you will be rewarded with some stunning scenery if you are able to complete the trip. If you prefer to do your slow travelling on the water, then perhaps taking a cruise down one of the United States' most famous waterways would fit the bill. Step back in time to journey down the mighty Mississippi River on riverboats similar to those used by 19th century travellers, and watch the world glide past. Machu Picchu in Peru is at the top of many people's travel bucket lists, and one way to visit while making the most of the breathtaking scenery is by trekking the Inca Trail. This 40km stretch can be covered in 4 days, and can be attempted either on foot or on horseback, depending on your preference. Either way, it will be a journey that will live long in the memory and far more satisfying than arriving at this iconinc destination by car or train. Another very famous walk popular with slow travellers is the Camino de Santiago, which is actually a network of different routes starting in different European locations and ending up at the shrine to St James in the cathedral of Santiago de Compostelo in Northwest Spain. The different routes vary in length from 100 to 1,000 kilometres, but of course it is up to you how much of the way you wish to travel. The Camino attracts pilgrims of all ages and all religions, each of whom will have their own personal reasons for taking on this epic challenge. 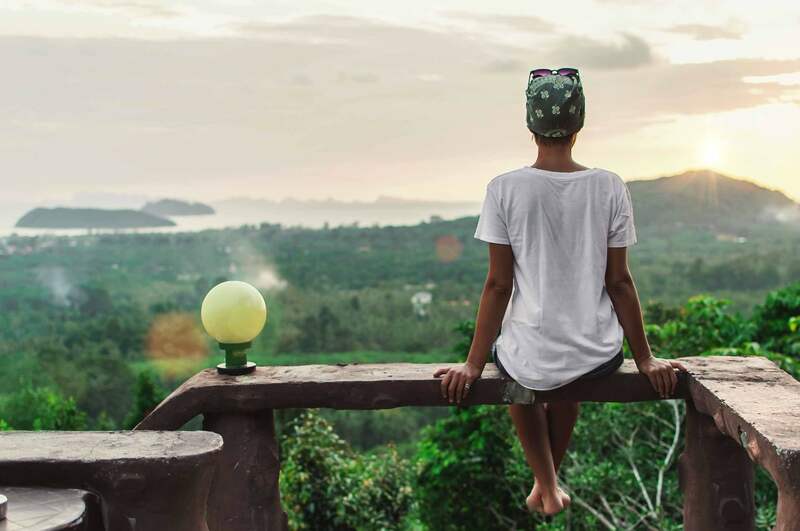 While a big lottery win can certainly take the stresses out of life, all of us can enjoy the respite from the stresses of the modern world that is offered by Slow Travel. There are numerous benefits to adopting this way of seeing the world, not least the benefits to the environment and to your bank balance offered by choosing simpler and less-damaging modes of transport. Slow Travel allows for flexibility and the freedom to truly get to know the place you are visiting. This is not about impressing social media contacts with pictures of exotic landmarks, but instead is about learning to live in the moment and to enjoy the beauty of small things. Let's finish with a quote from one of the earliest advocates of Slow Travel, the acclaimed 19th century author responsible for such classics as 'Treasure Island' and 'Strange Case of Dr Jekyl and Mr Hyde'. Robert Louis Stevenson. While still in his late 20s, Stevenson undertook a 12-day, 200km solo trek in the Cevennes Mountains in France. The book that resulted was called 'Travels with a Donkey in the Cevennes' and would serve as a blueprint for future generations of slow travellers.